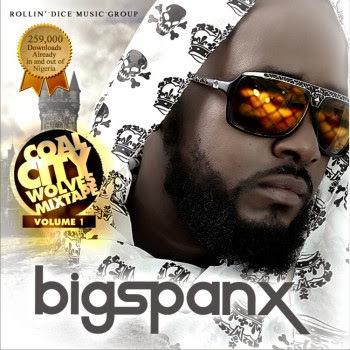 Underground Hip Hop Emcee “Big Spanx” presents his much anticipated EP titled “CoalCity Wolves". It's 17 track & 3 skits compilation with features from the likes of Phyno, Slowdog, Sym19, Big Iyke, Didi Nnamehn, Punchlyn, Splasman, Mistabooks and many more.. Big Spanx put alot of thought and effort into this mixtape with the sole aim of satisfying the true lovers of music out there. Download & Share Your Thoughts! !